Beside environmental protection, responsible resource management and occupational safety, the support of animal welfare and the preservation of biodiversity also belong to sustainability. The exploitation of animals is an often criticized subject in the touristic industry: be it putative animals protection centers where animals are not really protected at the end, animals held in captivity only for the purpose to service as motifs for tourist Selfies or big leisure parks with animal shows. Unfortunately, non-appropriate husbandry and exploitation of animals can often be found. Hence, many Green Pearls® hotels exert themselves with initiatives to support the welfare of the four-legged friends, birds and sea inhabitants. The Keemala pursues a strict policy against exploitation of animals. The resort communicates to its guests clearly to avoid holiday activities where animals are abused for the entertainment of the tourists. That’s why the resort sells no tickets for attractions as for example elephant riding, tiger or dolphin shows. Instead, they propose ethical animal or cultural experiences, or cultural Phuket. Besides, Keemala is home to a water buffalo, a peacock, goats, geese and chickens, which were saved or donated and now life in peace. The Tongsai Bay provides more than 28 hectares of untouched nature, which is home to more than 60 bird species. 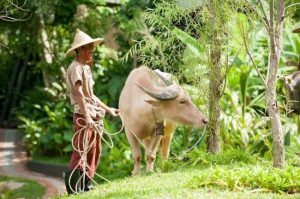 The hotel has a strict policy regarding animals’ welfare: If an employee damages or kills an animal that lives in the hotel garden, this person is dismissed. Besides, trees may be felled only with permission of the owner. 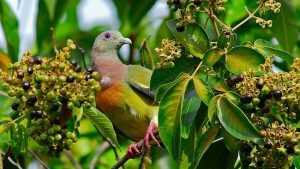 Also at theZeavola Resort on Koh Phi Phi 18 different bird species can be found as for example the nectar bird or the mistletoe eater. In the resort fruit-trees were planted especially for the birds as food source and during hatching time there are designated rest areas for the animals. The pinnate animals can also be observed along a lot of trails in their natural living space at the Peruvian Hotel Inkaterra Hacienda Urubamba to which the environmental organization Inkaterra Asociación belongs. It is frequently reported about the bleaching of the once colorful Great Barrier Reefs. 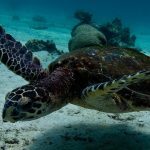 Not only the Australian coast is threatened by the coral death: Worldwide the sensitive sea inhabitants suffer from the impact of human beings polluting the environment. 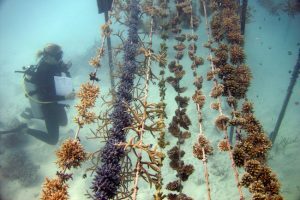 More storms as well as rising water temperatures caused by climate change, industrial soiling as well as chemical materials from cosmetics and sunscreen in the sea water are only some of the factors which damage the corals in the long term. At the Gili Lankanfushi on the Maldives corals are afforested within the scope of theCoral Lines Project and after adequate time transplanted in the reefs. At the Reethi Faru Resort several “coral gardens” were installed in which young or injured corals are put up in metal boxes around the atoll and are transplanted later to maintain the ecosystem of the Maldives. Besides, the Tongsai Bay on Koh Samui offers its guests sunscreen friendly to corals. In 2018 a sanctuary for bears from captivity was opened at Arosa, Switzerland. The first inhabitant is dancing bear Napa that now lives on 2.8 hectares and is the first time outside a cage. Also in Peru the Inkaterra Machu Picchu Pueblo hotel supports a protective area for the meanwhile rare Andes bear. Through the influence of the humans the number of the local bears has drastically decreased, now they can find a safe habitat in the protective area. 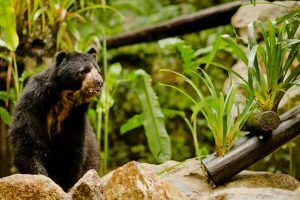 Visitors can observe the Andes bears in their national environment and support the preservation of this natural living space with their donation. Based on the massive decreased shark population the Reethi Beach Resort on the Maldives has incorporated the Baa Atoll Project, which meanwhile is recognized as NGO called BAARU (Baa Atoll Resorts United). 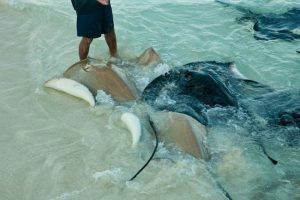 Beside the protection of the sharks there are also rules for fishing as well as boat traffic around the islands. The regulations contain a restriction of the area where sharks may be fished, a national ban of shark products, rules for fishing as well as the trade of sea animals. Besides, an “underwater ranger” looking after the reefs and the underwater world was trained. The recognition of Baa Atoll as UNESCO biospheres reserve in 2011 was also a merit of the organization and the project.